In a year when sales numbers fell to an all-time low, the quality of music produced was stunningly high. Who needs buyers? In a year when sales numbers for albums not released by a singer named Adele fell to an all-time low, the quality of music produced was stunningly high. There was important work made in styles of every category, from pop and jazz to musical theater and the avant-garde. One of the most striking things about much of the best new music was the ease with which it collapsed familiar categories and recombined disparate styles. The mere fact of such hybridization is no longer news; it’s the story of early-20th-century music. What’s surprising to find in so much of the new hybrid work is the diminishing presence of gimmickry and novelty value in favor of human feeling. 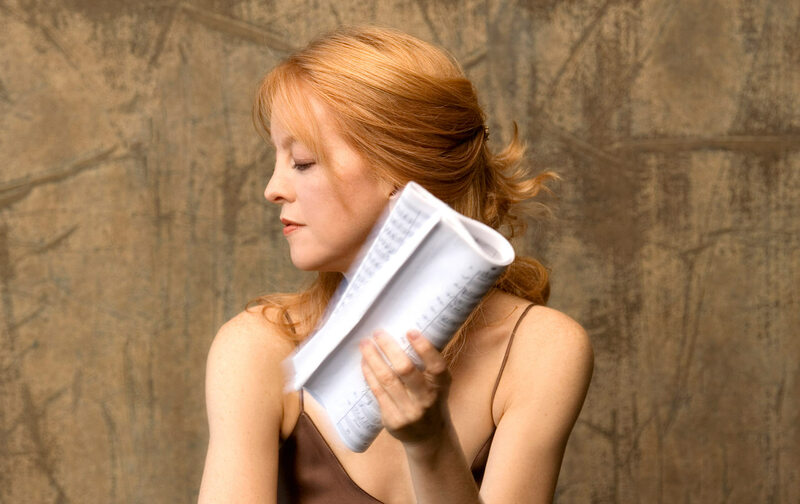 My favorite album of the year, The Thompson Fields, by composer and bandleader Maria Schneider and her orchestra, is jazz with the harmonic lushness of Aaron Copland, played and partly improvised by an orchestra incorporating accordion and electric guitar. The best new theater score since Stephen Sondheim’s Passion (1994) is the brainy hip-hop crowd-pleaser about the American Revolution, Lin-Manuel Miranda’s Hamilton. And the pop album I relished most, Skylar Spence’s Prom King, is a laptop synthesis of Michael Jackson–era disco-funk with a millennial attitude. For all the economic disruption of the streaming phenomenon, it was, aesthetically speaking, an exceptional year. With the buyers disappearing, musicians have been forced to find alternative means of funding. Maria Schneider records for the cooperative label ArtistShare and does not allow her music to be streamed, even on Youtube. Composers such as Ted Hearne, Sarah Kirkland Snider, and Julia Wolfe have worked under commission from arts institutions. The singer-songwriter Jo Lawry, like many artists now, both financed and released her own album. Music-makers everywhere are finding a way—so far. Gorgeous, enveloping orchestral jazz, much of it inspired by the natural world. Radically majestic hip-hop with uncompromising, poetic lyrics by Lamar and production by a team including Dr. Dre, Anthony “Top Dawg” Tiffith, KOZ, Pharrell Williams, and others. Our colonial uprising sounds like the work of young revolutionaries that it was in this celebrated score by Lin-Manual Miranda, who wrote the book and stars as the titular founder. A singer like no other, Shyu is both lyrical and wildly adventurous, producing sounds in languages as diverse as English and Javanese, Korean, and Tetum (spoken on the divided island of Timor), all of which combine to produce a beautiful language of her own passionate invention. Fearlessly quirky solo guitar—at points airy and delicate, then brutally thrashing—by one of the most original instrumentalists in jazz today. Ten of the best-crafted songs I heard all year—tuneful and smart, without a moment of preciousness or pretense—sung beautifully. What Lawry does as both songwriter and singer is a whole lot harder than it sounds. Honorable mentions: Render by Roomful of Teeth (New Amsterdam); Art Angels by Grimes (4AD); Synovial Joints by Steve Coleman and the Council of Balance (Pi); Divers by Joanna Newsom (Drag City); The Cutting Edge 1965-1966: The Bootleg Series, Vol. 12, by Bob Dylan (Columbia/Legacy).